Save Up To $95.00 on Total Diva! 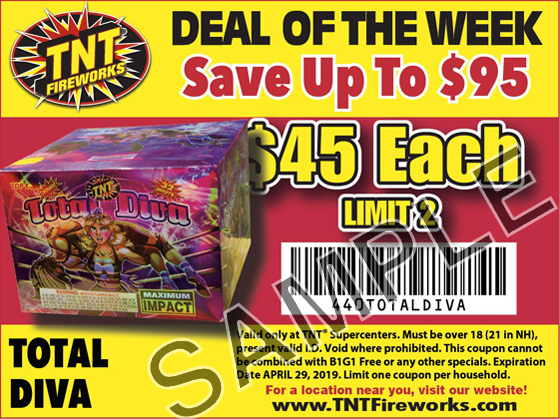 Supercenter Deal of the Week: Purchase "Total Diva" for only $45 each - SAVE up to $95.00! Valid only at TNT Supercenters. Limit two per purchase, one coupon per household. Limited quantities available. Other restrictions apply, see coupon for details. Cosmic Surge! Only $5 Each! 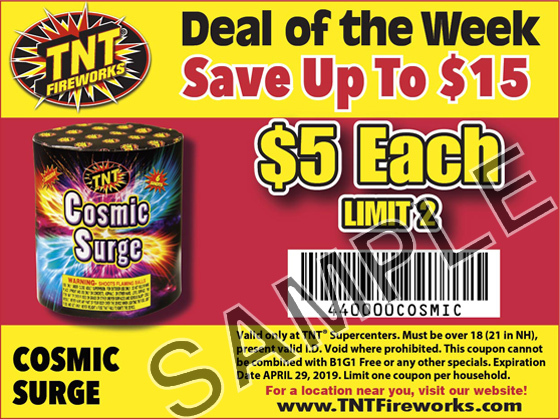 Supercenter Deal of the Week: Purchase "Cosmic Surge" for only $5 each - SAVE up to $15.00! Valid only at TNT Supercenters. Limit two per purchase, one coupon per household. Limited quantities available. Other restrictions apply, see coupon for details.